Colorful letters and numbers firmly adhere to any metal surface. Great forextending beginning lessons in spelling, language, storytelling, math, andmore. 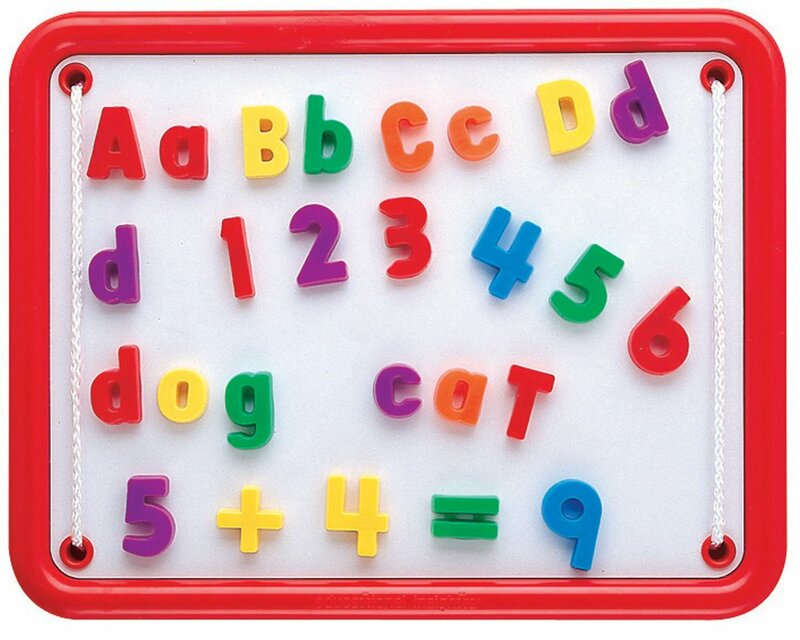 Set includes 36 capitals, 36 lowercase, 20 numbers, and 7 math symbols.Magnetic board sold separately. From the Manufacturer Magnetic shapes, letters and numbers which includes 36 uppercase letters, 36lowercase letters, 20 numbers, and 7 math symbols. For use with large or smallmagnetic boards with 4 bright colors.